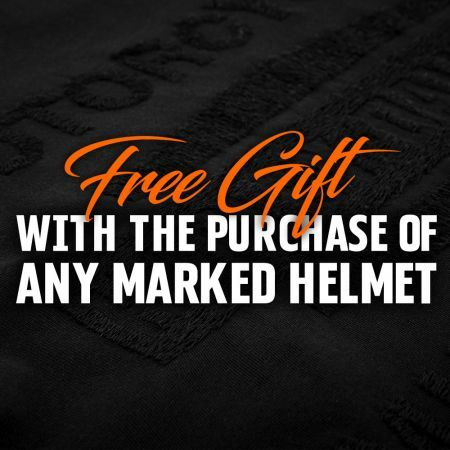 Home › Latest Promotions › Free Gift With Any Marked Helmet In-Store! Free Gift With Any Marked Helmet In-Store! Purchase any marked helmet in-store at Canberra Harley-Davidson® and select a FREE GIFT of your choice up to the value of $150! What helmets do we have? What gifts do you get? You'll have to visit us at the dealership to see exactly what we've got in store for you! But be quick, offer is available while stocks last! Marked floor-stock helmets only. Offer cannot be used in conjunction with any other offers or discounts.